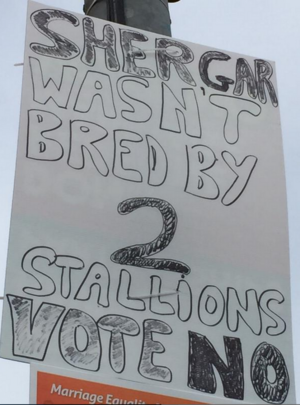 Posted in Misc and tagged Marriage referendum, No poster, Shergar at 3:21 pm on May 5, 2015 by Broadsheet. Cutting edge pop-culture reference award. Like the bloodstock industry bears any relevance to human love. A mare is ‘covered’ by a well bred stud for an enormous fee- thats the kind of society we need! You mean they weren’t even married?? Not just that, either everyone watched them do it or he was turkey baster jobbie. Shocking. It’s called a pre-nut agreement. 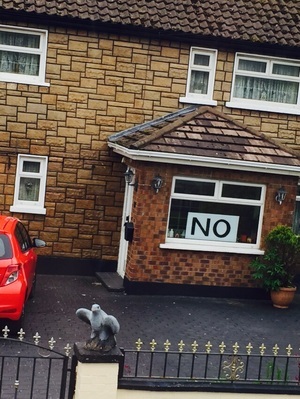 It’s grass-roots campaigning in fairness. and most likely shot by heteros. I love me a bit of horse on cop action. Phwoar!! Ah man they are classic! Below it you can just make out a Yes poster. 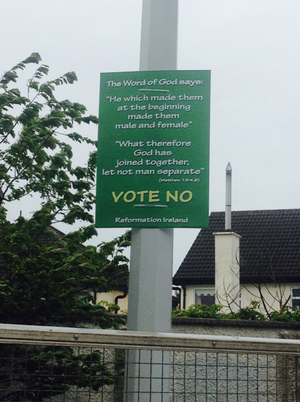 One of the 6 Yes posters to be seen outside of the Dublin area. True. On an excursion beyond the pale to the far reaches of the wesht at the weekend I realised that this campaign is raging only in Dublin and on broadsheet. 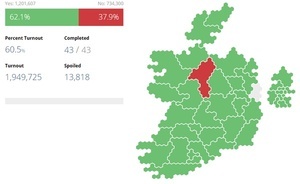 Oh, and in Macroom. But no posters anywhere else. 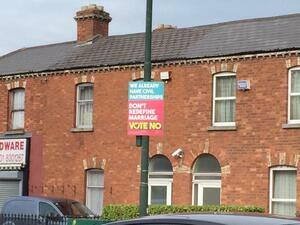 Wexford has lots of Labour and Sinn Fein Yes posters. I’ve seen 2 no posters. One opposite Tesco Wexford, and the other in Wellingtonbridge. I rode Shergar and his mother. Was on the fence. Definitely a NO now! Won’t somebody think of the foals? how colt is it today! Shure it’s the mane event around here. Make sure you give that oul door a good to firm pull on your way out, wontcha? Were ya born in a stable? No, in a mareternity ward in the Curragh Hospital! Shergar might be in the closet! There is an upside to voting no. This could finally be the one good reason to vote no.